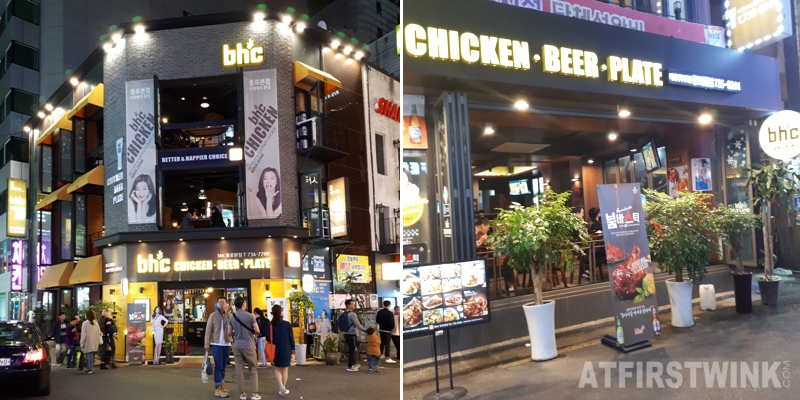 I don't want to overexert myself after being under the weather for such a long time, so I will do a short food-related review today. I have been drinking a lot of tea lately and I wanted to eat something sweet with it. I remembered that I bought some Milka chocolate bars a few months ago, just because I was curious about the taste. So, I dug through the things in the kitchen cupboard and found the following two chocolate bars: the Milka & Oreo and the Milka & Daim. I expected this chocolate bar to have melted too, but surprisingly, it had survived the heat. I think it is because the Milka & Daim chocolate bar is a lot harder than the Milka & Oreo chocolate bar. 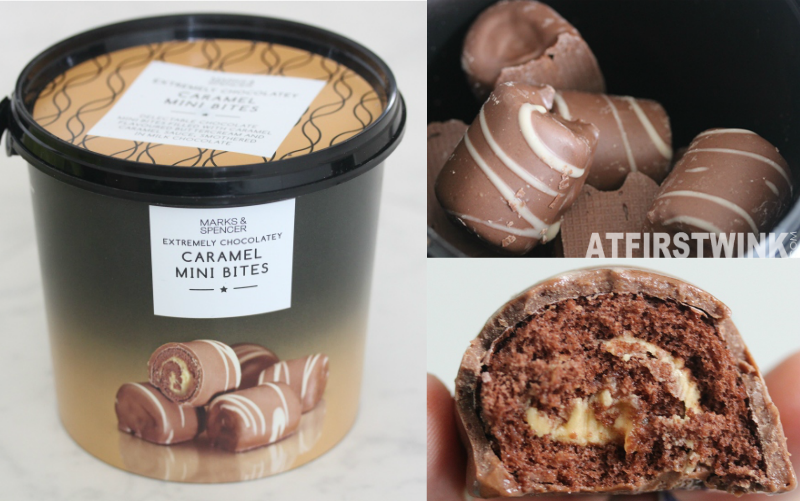 It is the kind of chocolate that makes a sound, when you bite in it. 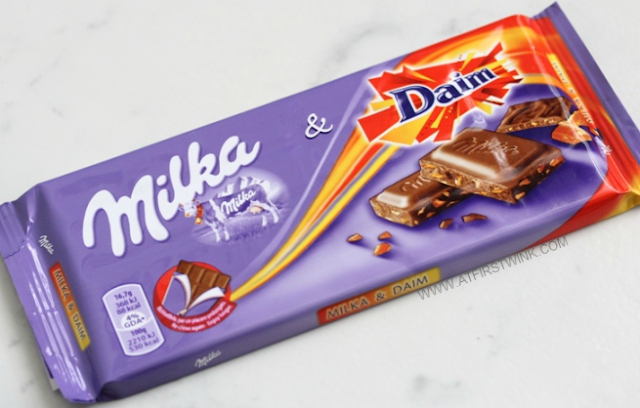 This chocolate bar also contains little pieces of crunchy caramel pieces of the brand Daim. I have never eaten a Daim bar before, so I can't really say how much it tastes similar, but it does have a buttery, caramel taste as described. Which one did I like the most? 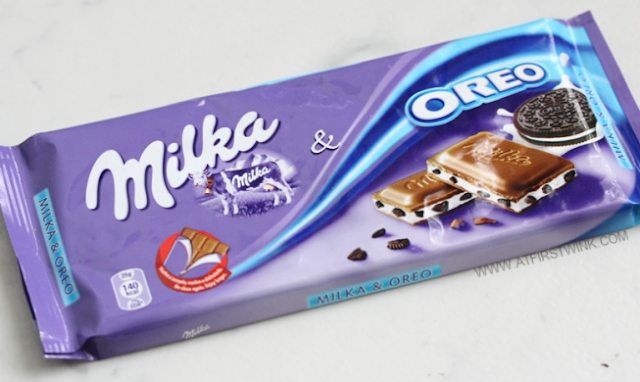 It would have to be the Milka & Oreo chocolate bar. 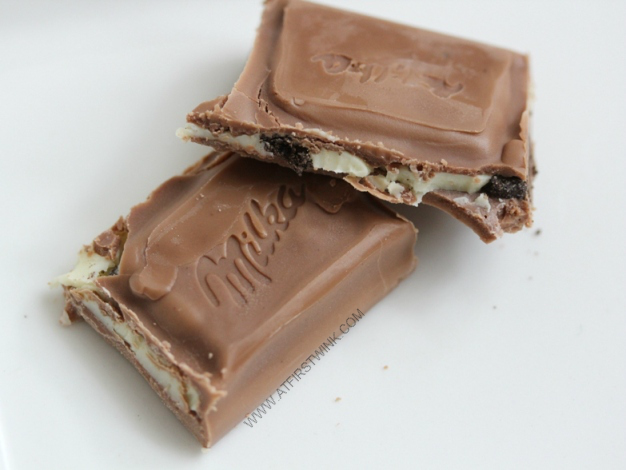 The Milka & Oreo chocolate bar is not as sweet, since it has a light vanilla cream filling as opposed to a solid chocolate bar. 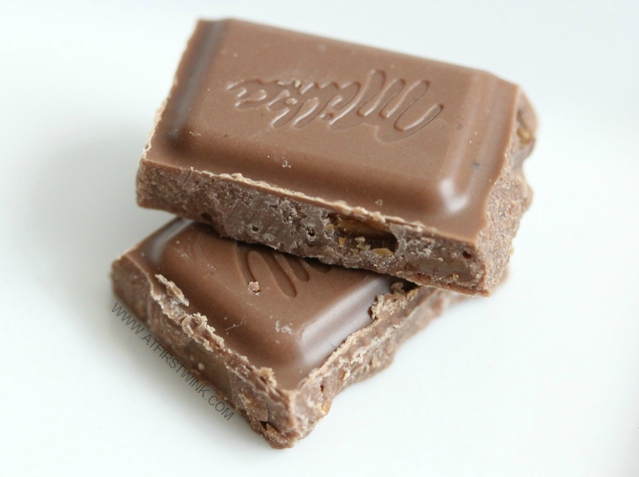 I also like the soft chocolate texture more, as I don't have to worry about hurting my teeth. But this doesn't mean that the Milka & Daim chocolate bar is not delicious. I am not really that fond of caramel - not saying that I hate it -, but I just don't like (overly) sweet things all that much. You can pretty much tell that from the fact that these chocolate bars have been untouched all these months. ^_^ But for people that like caramel, they would enjoy the rich caramel taste. 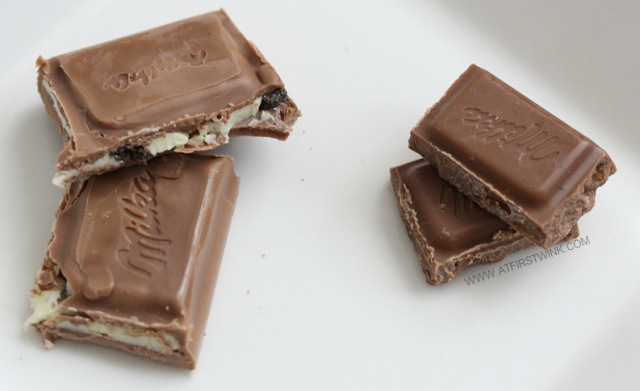 The chocolate bars are equal in size, but divided in different sized pieces.